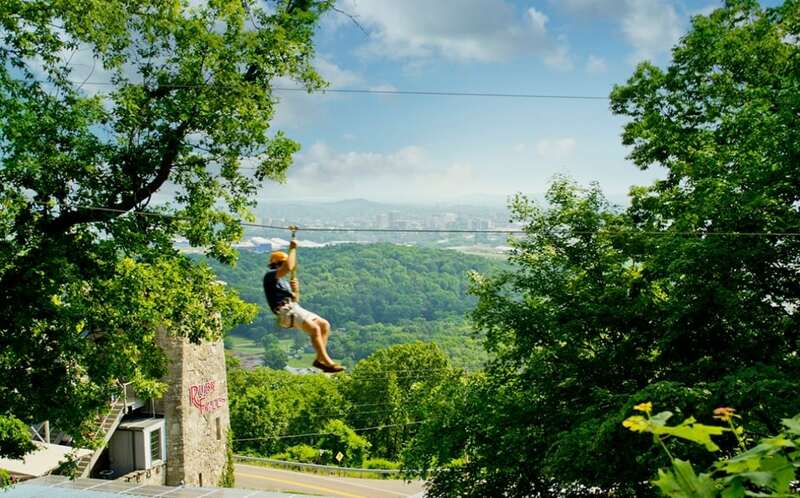 Just minutes from downtown Chattanooga, Lookout Mountain is the most visible and iconic visitor destination in the region. Rich in Civil War history and offering a wide range of outdoor activities along the rim of the city, it’s the perfect destination for extraordinary experiences and amazing natural beauty. The miles-long mountain is home to the steepest passenger railway in the world, the Incline Railway, and Ruby Falls, the deepest commercial cavern in the country. Explore miles and miles of the Lookout Mountain trails by foot or bike, ranging from easy to strenuous. Take in a sunset at Sunset Rock, or take on the ZIPStream Ariel Adventure. 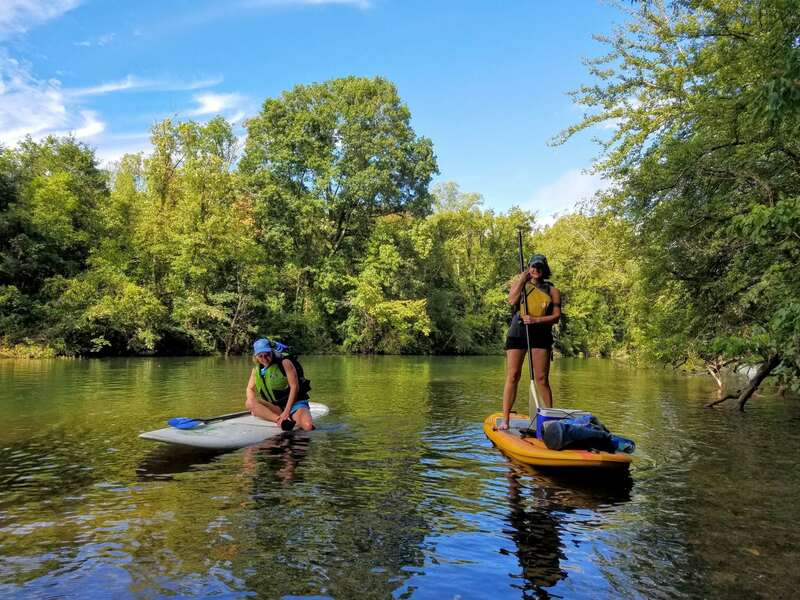 Discover a hidden gem at Reflection Riding, then get in a peaceful paddle on Lookout Creek. 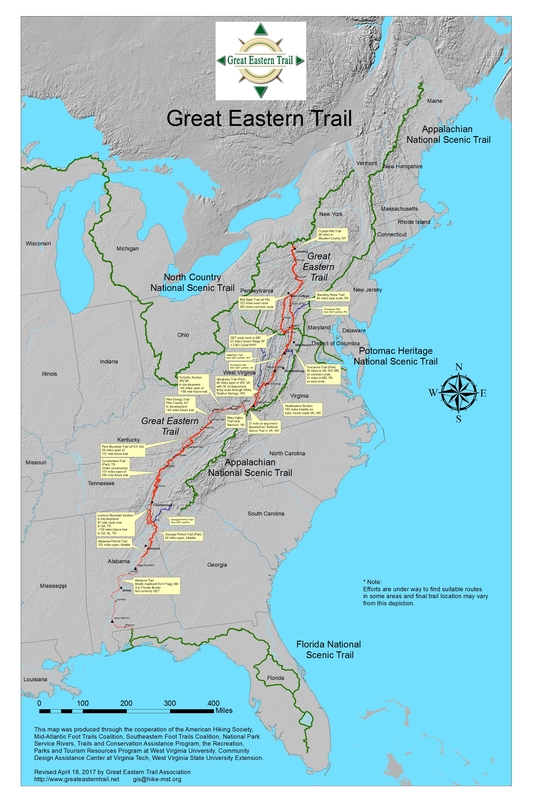 The Great Eastern Trail is a project of the Great Eastern Trail Association, working with the American Hiking Society and local trail partners, to create America’s newest long-distance hiking trail extending from Alabama to New York! Still under development, the Great Eastern Trail (GET) runs through Chattanooga using parts of the Cumberland Trail, North Chickamauga Creek Greenway, Tennessee Riverpark, and Chickamauga and Chattanooga National Military Park’s Lookout Mountain trail system. 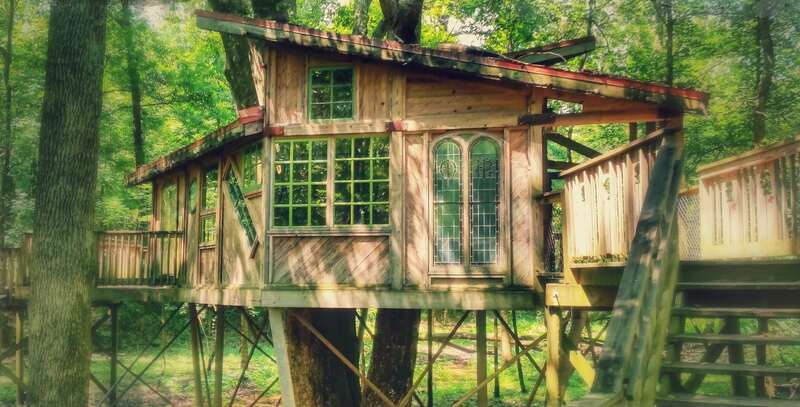 When complete, the GET will connect the Florida National Scenic Trail to the North Country National Scenic Trail in New York State, as well as making connections to the Benton MacKaye, Pinhoti and Appalachian Trails. Currently, long-distance hikers can access nearby backcountry sections of the GET from downtown Chattanooga using temporary routes on city rights of way and greenways. Chattanooga was designated a GET Trail Town in 2013. The Guild-Hardy Trail begins on Ochs Highway and climbs up Lookout Mountain along an old railroad bed comprised mostly of crushed gravel. The trail passes under the Incline Railway, by Ruby Falls and numerous monuments and structures from the Civil War including Craven's House, until it ends at Scenic Highway, near the Lookout Mountain Battlefield. 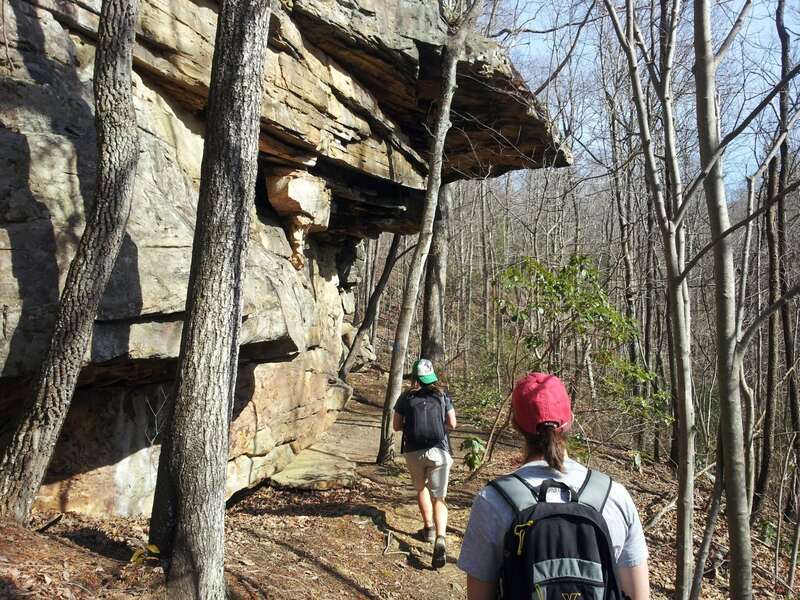 More adventurous hikers and bikers may leave the Guild-Hardy Trail at Craven’s Terrace and access Chickamauga and Chattanooga National Military Park’s 40+ mile trail system. The Upper Truck Trail in particular increases in grade and difficulty at it ascends to Och's Gateway for another 4 miles. The trail system is particularly beautiful in the winter when seasonal streams cause ice falls on the mountain’s rocky bluffs, and in the spring, when mountain laurel, azaleas, and wildflowers are in bloom. 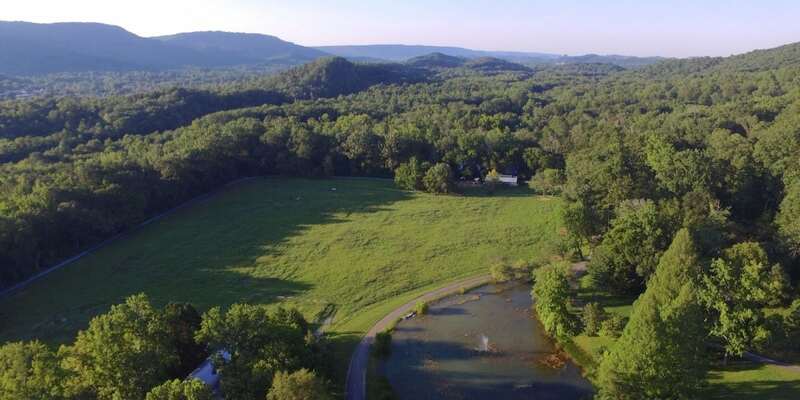 Nestled at the base of Lookout Mountain just minutes from downtown, Reflection Riding Arboretum and Nature Center is located in one of the most biologically diverse regions in North America and one of Chattanooga’s most beloved settings. Incorporated in 1956 by the Chambliss family, the center provides tremendous opportunities for everyone to experience and connect with nature on its 317-acre property by focusing awareness on native plants and animals and encouraging visitors to actively engage with the environment. Visitors can fully appreciate the diversity of the region’s landscapes by exploring meadows, glades, forests, and even a bamboo patch all within a stone’s throw of one another—and those are just the natural elements of Reflection Riding. Other features include sensory gardens, historic structures, an apple orchard, and a variety of exciting learning opportunities. Hikers, runners, and bikers of all levels will enjoy the 15 miles of trails on the property, including the ADA-accessible Blue Heron Boardwalk, which takes visitors through the heart of the center’s seasonal wetlands and along the edge of Lookout Creek. The trails are interwoven, making it easy to create short or long hikes. 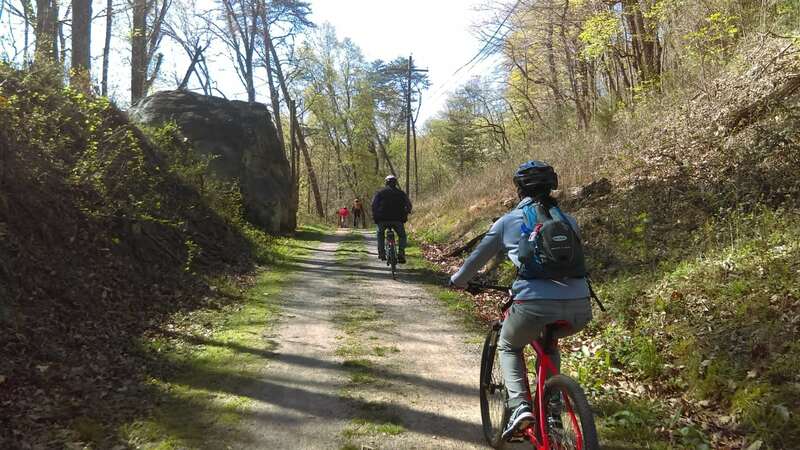 The 2.7-mile Profile Trail is one of the most popular day hikes at Reflection Riding, and gives visitors a thorough tour of the many landscapes in the area. Hikers can also easily connect with 40+ miles of trails in the Lookout Mountain trail system, such as Skyuka Springs or the Lower Truck Trail, and challenge-seekers can even venture a stiff climb up to the picturesque Sunset Rock. Located on Lookout Creek, a peaceful tributary of the Tennessee River that’s mild enough to paddle easily in either direction. From the boat launch, you can head upstream past Paddler’s Perch, a designated stop on the Tennessee River Blueway, or downstream toward Cummings Bottoms and the Tennessee River. Keep an eye out for turtles, fish, and birds, but remember to cast a glance skyward for a gorgeous view of Sunset Rock. Visitors are welcome to bring their own watercraft or to rent canoes from Reflection Riding for an additional fee. Tuesday-Friday: 9:30 a.m. -6:30 p.m.
Ruby Falls is the tallest and deepest underground waterfall open to the public in the United States. 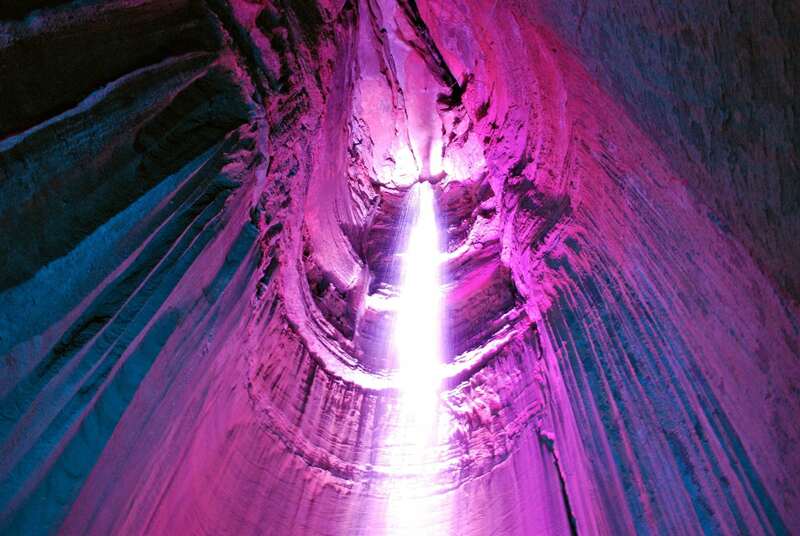 The 145-foot underground waterfall is located more than 1,120 feet beneath the surface of Lookout Mountain. The hugely popular tourist attraction offers guided tours daily. Ruby Falls is a very small part of Lookout Mountain Cave, of which has a mapped length of 2.5 miles and has been closed to the public for decades. The natural cave entrance is at the base of Lookout Mtn. on U.S. 41, overlooking I-24 and the Tennessee River, but cannot be accessed by the public. 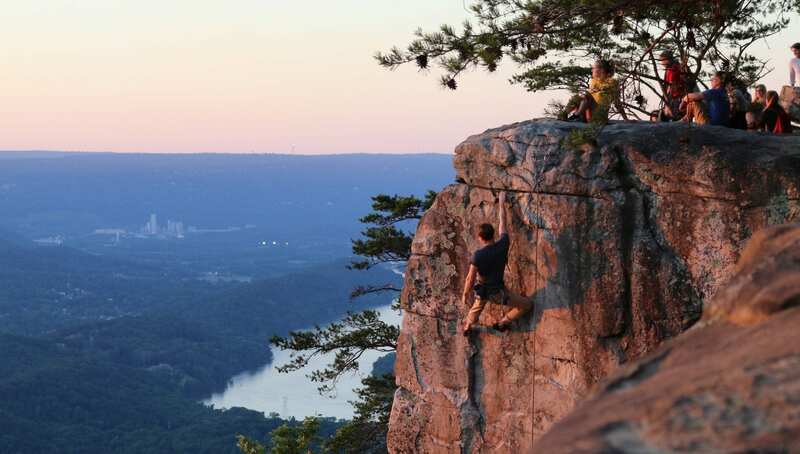 Open Daily: 8 a.m.-8 p.m.
Stretching along the western face of Lookout Mountain in Chattanooga, Sunset Park is home to some of Tennessee's finest single-pitch trad climbing. The hard sandstone provides great climbing and spectacular views of the valley below. 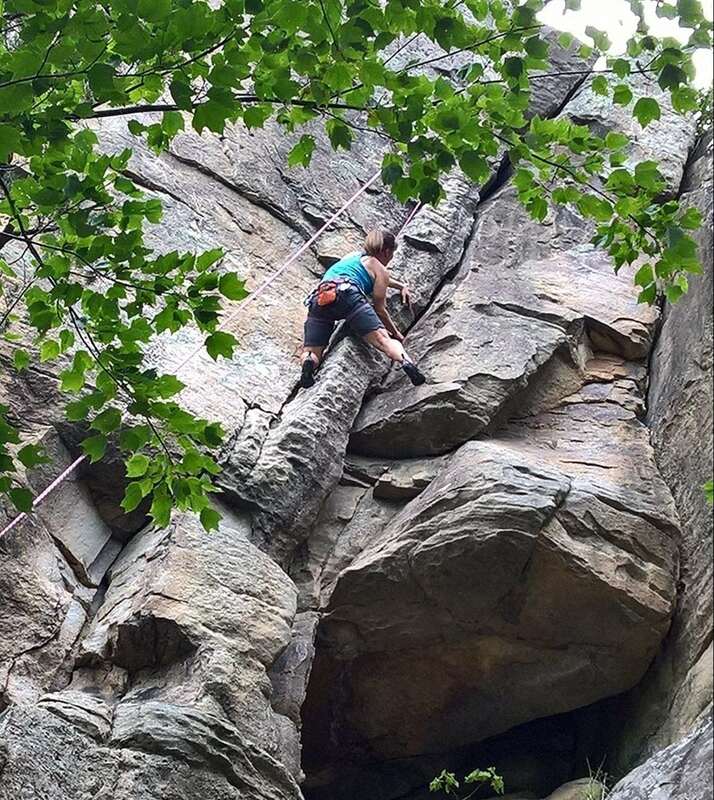 Routes are plentiful in a wide range of difficulty, and the northwest-facing cliff offers a cool, shady alternative to other climbing areas during the summer months. Sunset has a long and interesting history, both for climbers and Civil War buffs. A part of Lookout Mountain Battlefield in Chickamauga and Chattanooga National Military Park, it is highly respected and protected by the local climbing community and the National Park Service as a place of historical significance. To protect access for climbers and also the mountain’s historical integrity, please respect and obey all of the NPS climbing regulations for Sunset Rock. The best place to park is Lookout Mountain Battlefield’s Cravens House.